Actor Nara Rohith watched his just released family entertainer, Savitri, with his fans and the film’s crew at a multiplex in Vijayawada yesterday. 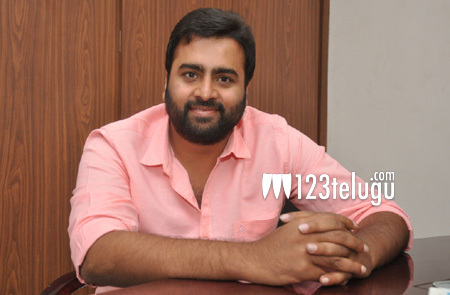 Speaking to media after the screening, Nara Rohith expressed his happiness over the audience’s response. The young hero also said that he will act with Nandamuri Balakrishna if he comes across a good script. Rohith further said that he will never step into active politics and that he will always remain a loyal TDP member. He then requested everyone not to encourage piracy and watch Savitri only in theaters. Until a couple of weeks ago, there were several reports that Nara Rohith will be playing a cameo in Balayya’s film with Krishna Vamsi. But the film has been put on hold to commence Krish’s project.